Our 930sqm function floor, including a 450sqm Ballroom, pre-function and breakout rooms, are all located on one floor and directly accessible via an external lift from Mary Street below. The area provides an airy, dynamic and technologically advanced space for any special occasion or integrated conference. In addition, Nautilus Pool Deck is the ideal tropical oasis for an outdoor cocktail party for 200 people. Located in the heart of Brisbane, next to our sister hotel Four Points by Sheraton Brisbane on Mary Street, the home of the Heavenly Bed, Westin Heavenly Spa and WestinWorkout is just a short walk from the city's most popular spots including Queen Street Mall shopping and corporate offices, Eagle Street Pier restaurants and bars, the Brisbane River and the Botanic Gardens. We offer multiple food and beverage catering options showcased in the hotels Banquet Kit. Customised menus can be tailored by our talented team of Chefs for a variety of specialised dietary requirements. The hotel offers guests a variety of recreational facilities in line with the Westin "Be Well" philosophy. Our Heavenly Spa by Westin, the first of its kind in Australia, features 5 treatments rooms including 2 couples rooms and a hydrotherapy bath. The WestinWorkout area boasts a variety of the latest cardio equipment, free weights and stretching area. Take a dip in our resort-style pool with swim-up pool bar at the Nautilus Pool Deck and enjoy innovative cuisine including a number of healthy options at both of our hotel restaurants. The Westin Brisbane joins the growing portfolio of Westin Hotels & Resorts in Australia and reinforces the global demand for well-being among travelers while on the road. 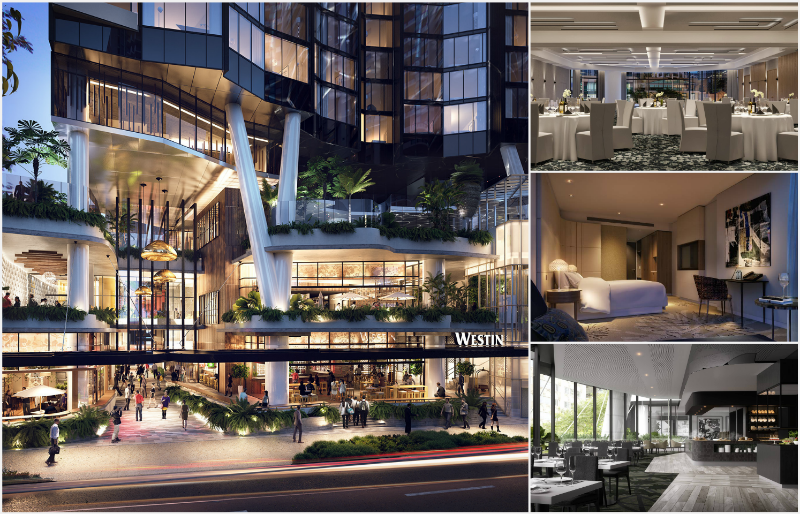 With its focus on health and wellbeing, The Westin Brisbane will offer a holistic approach to meetings and conferences when it opens its doors on 8 November 2018. 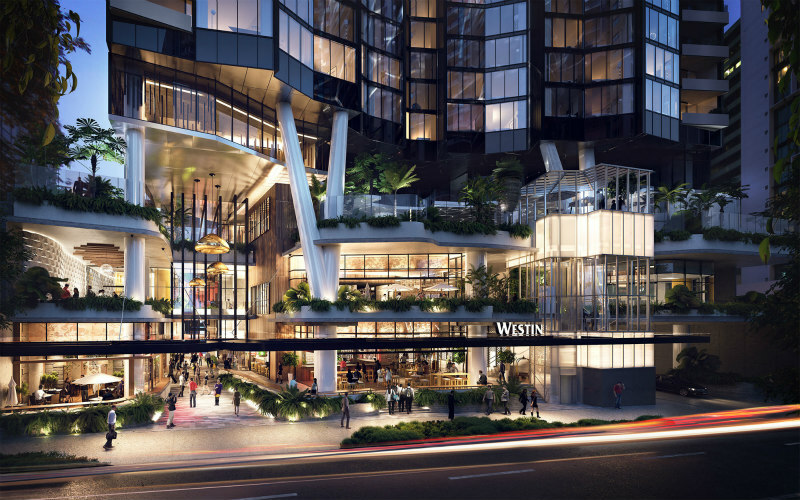 The highly anticipated The Westin Brisbane, part of Marriott International, will open its doors on 8 November 2018, revealing a unique urban retreat for the river city.